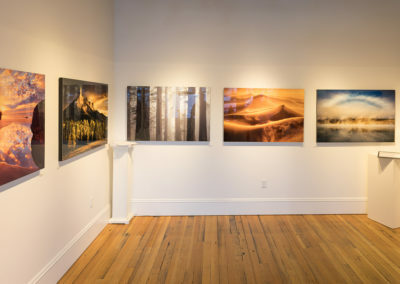 Atmosphere is Photo Cascadia’s traveling exhibit. 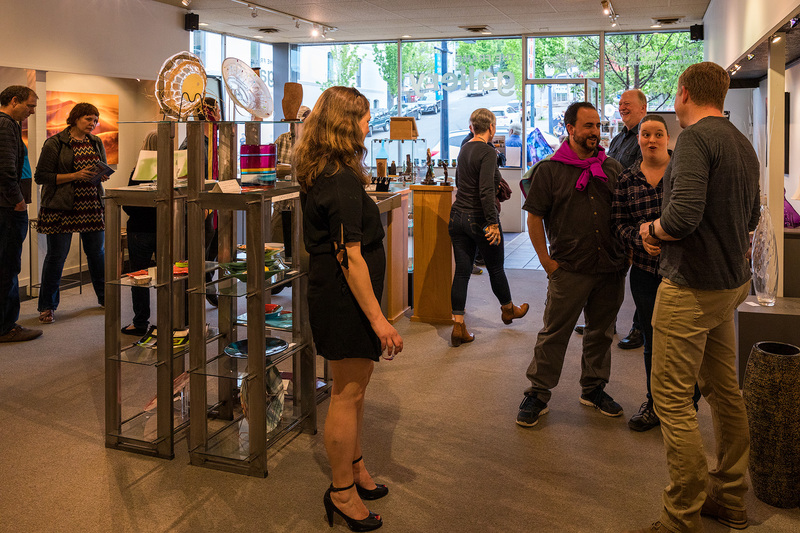 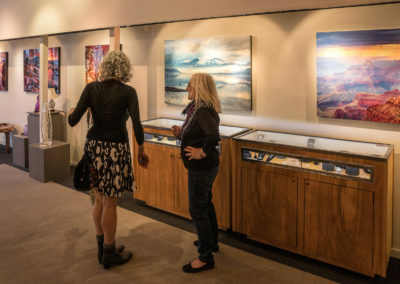 The exhibit premiered at the Hanson Howard Gallery in Ashland, Oregon in November 2017. 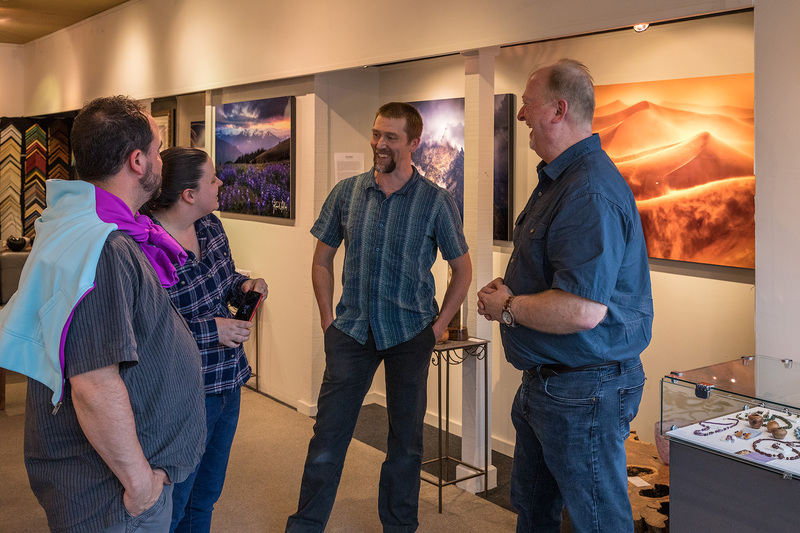 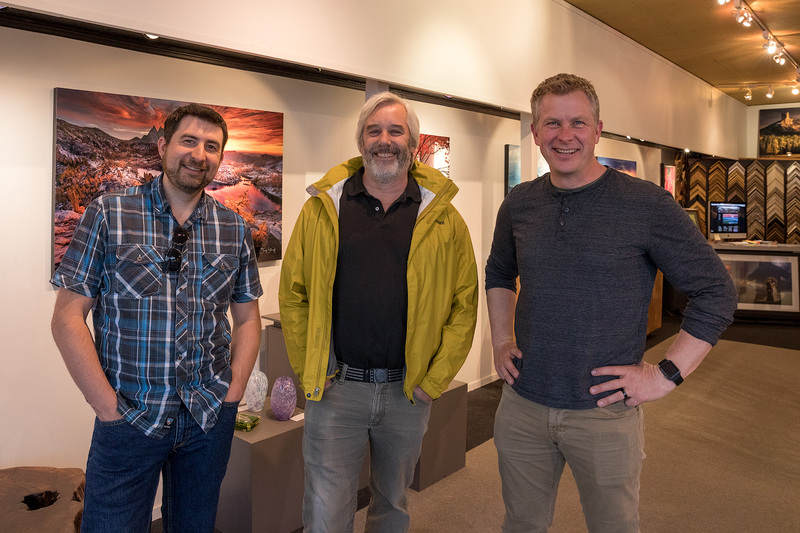 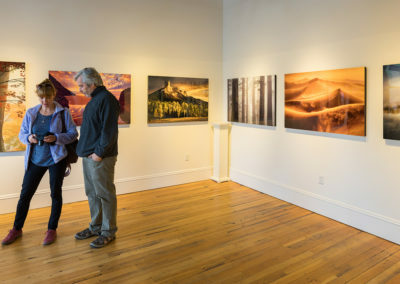 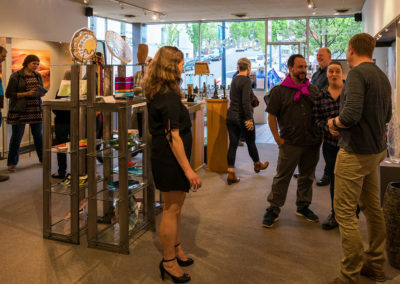 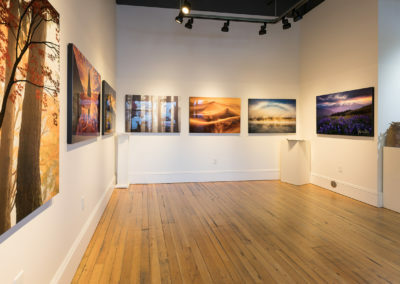 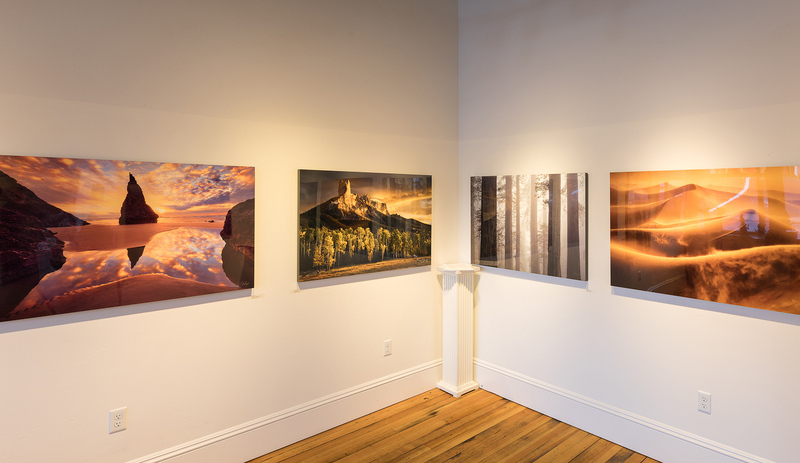 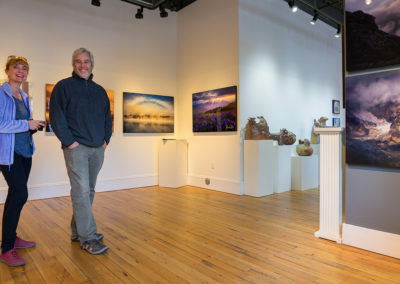 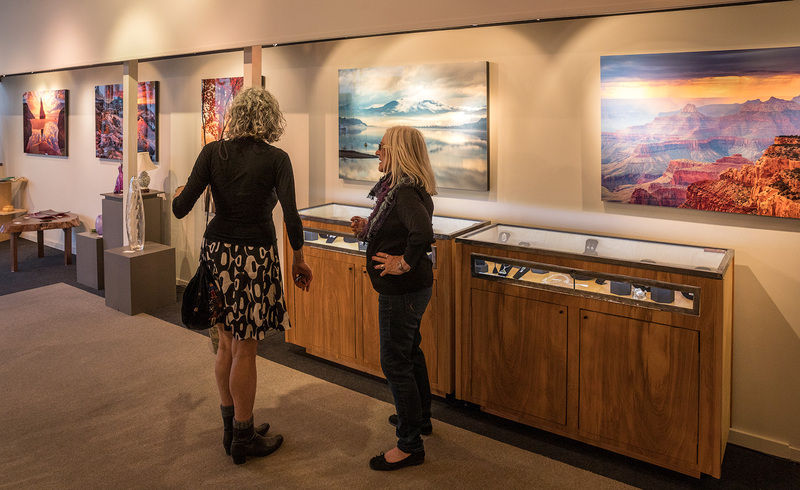 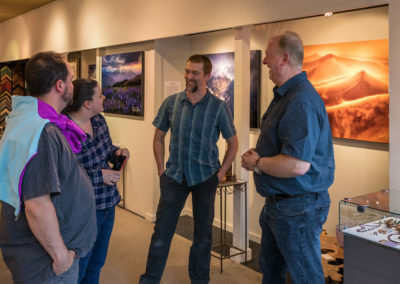 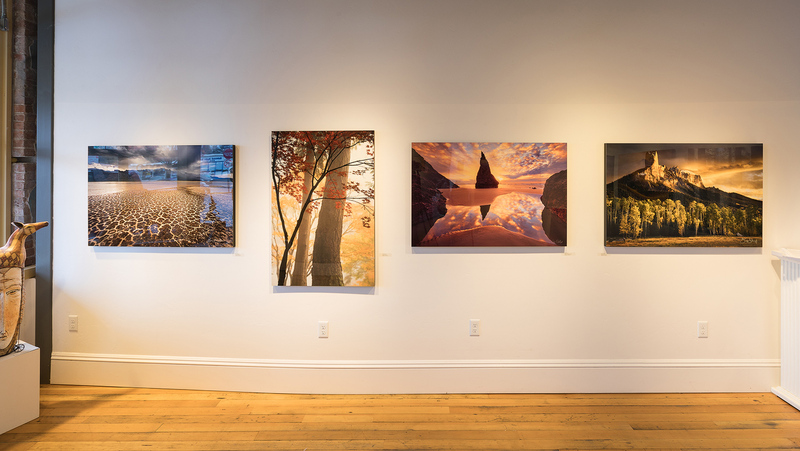 During the spring of 2018 Atmosphere showed at the Frame Gallery in Hood River, Oregon. 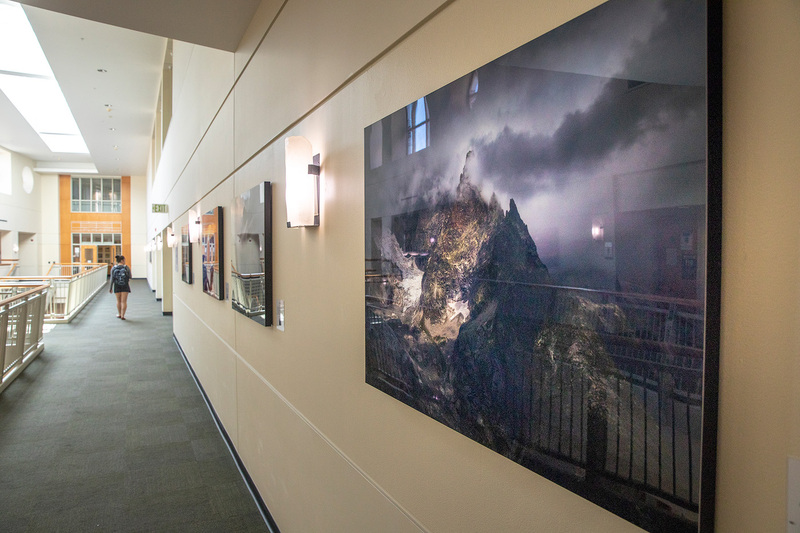 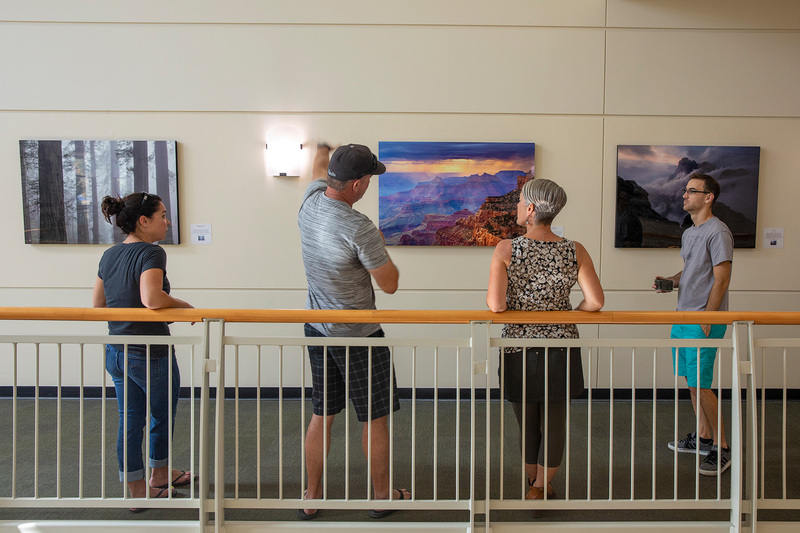 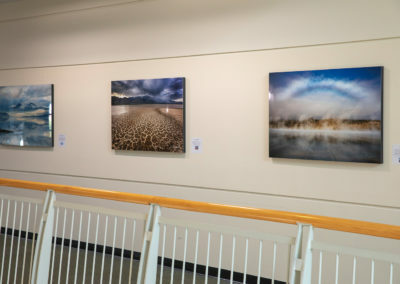 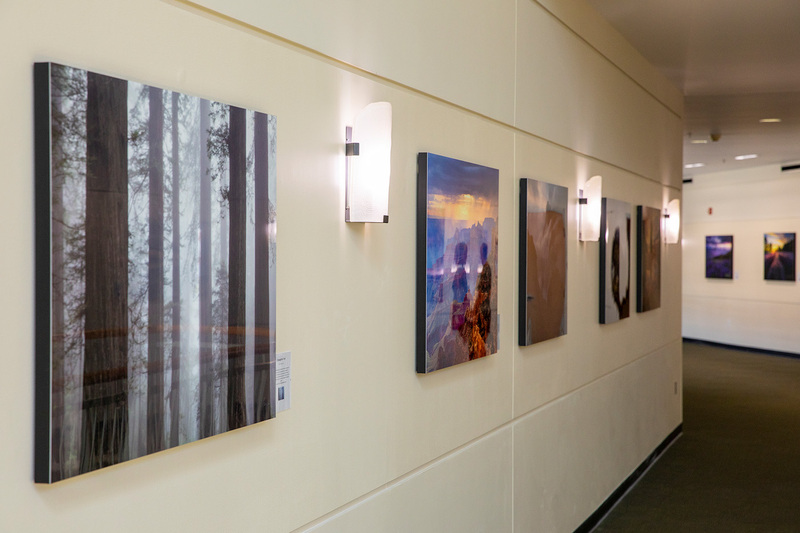 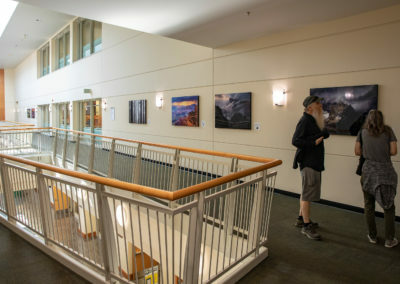 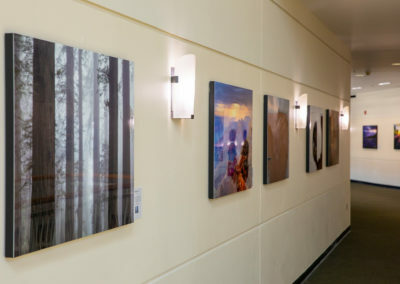 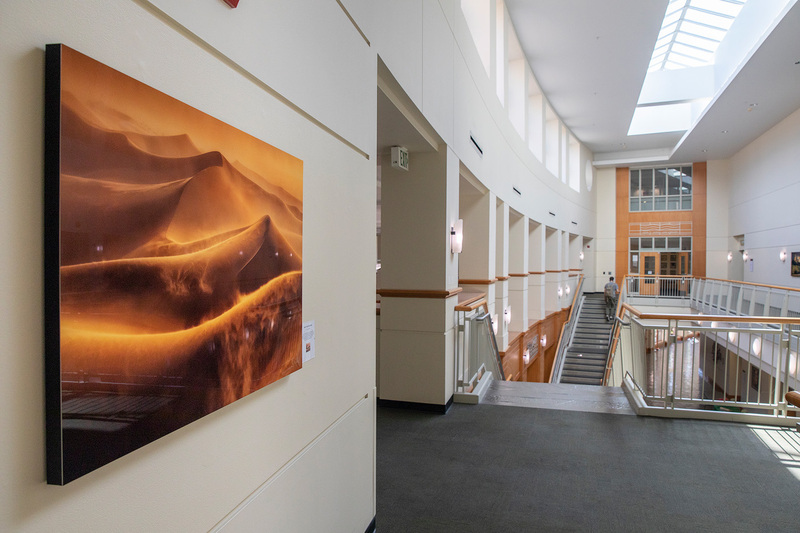 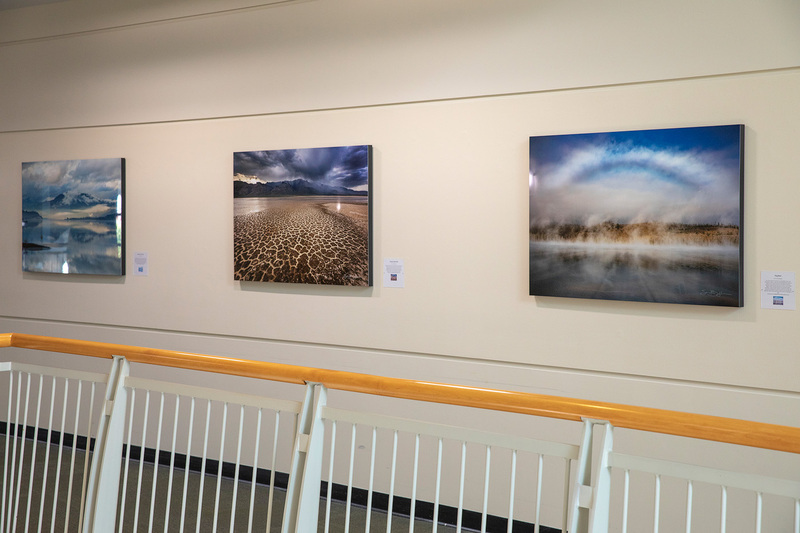 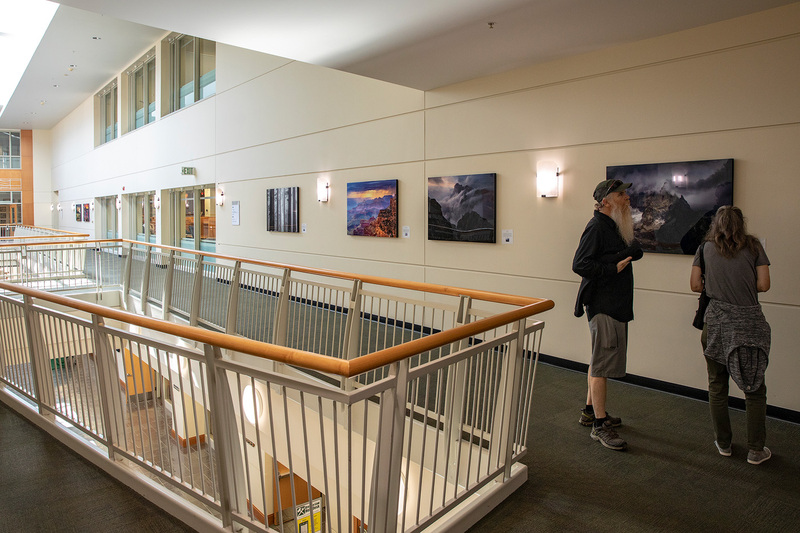 It is showing from August through December 2018 in the William W. Knight Law Center on the University Of Oregon campus in Eugene, Oregon. 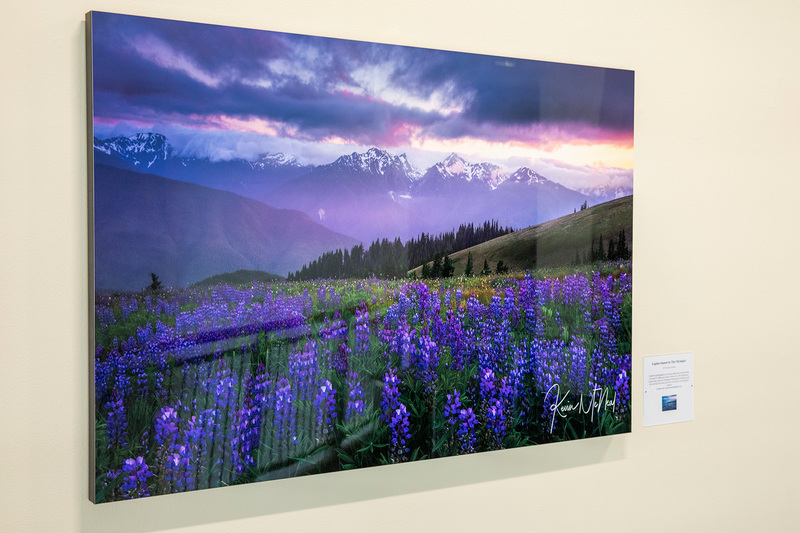 The show consists of 14 (two per team member) 30x45 inch fine art, high gloss prints on aluminum produced to the highest standards by HD Aluminum Prints in Vancouver, Washington. 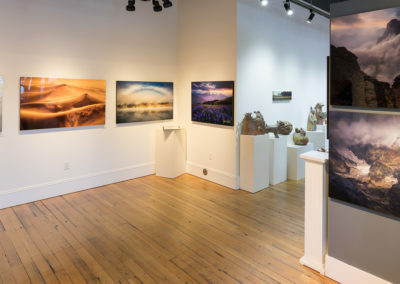 The images in the show have been selected for qualities of atmosphere, an elusive but critical element in our photography. 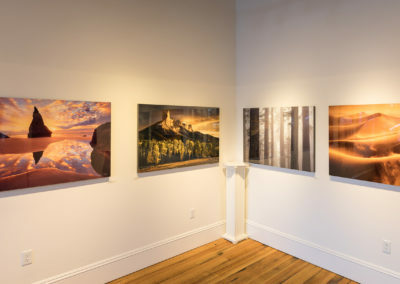 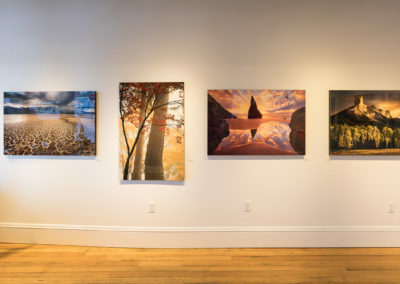 As a group, we share a passion for atmosphere, searching it out and capturing it in the landscape, so we felt it was a fitting and unifying theme for our first show. 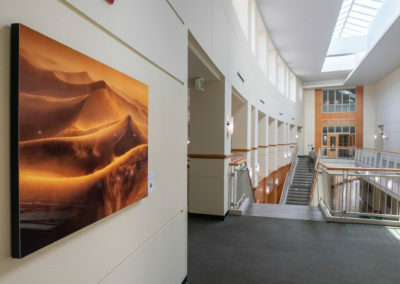 What is atmosphere? 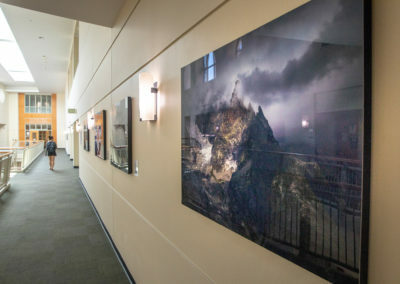 In the literal sense, it is the envelope of gases surrounding the earth. 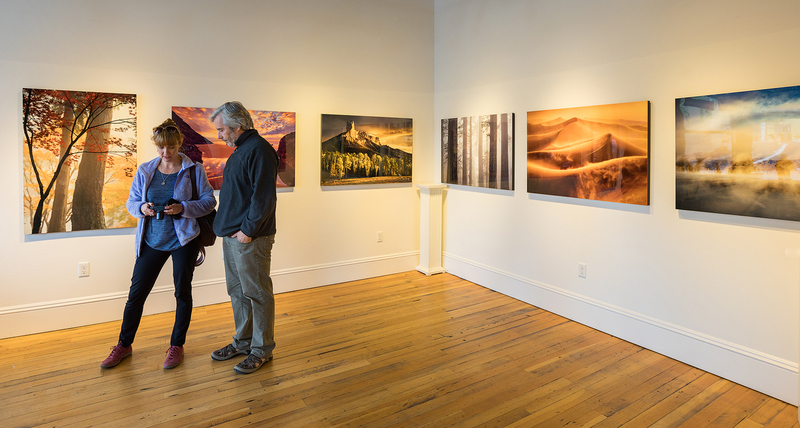 In a more literary sense atmosphere often refers to the heavens, firmament or the ether. 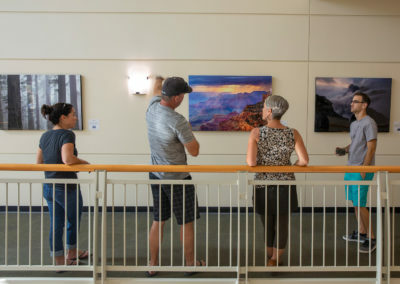 More commonly it can allude to the pervading tone or mood of a place, situation, or work of art. 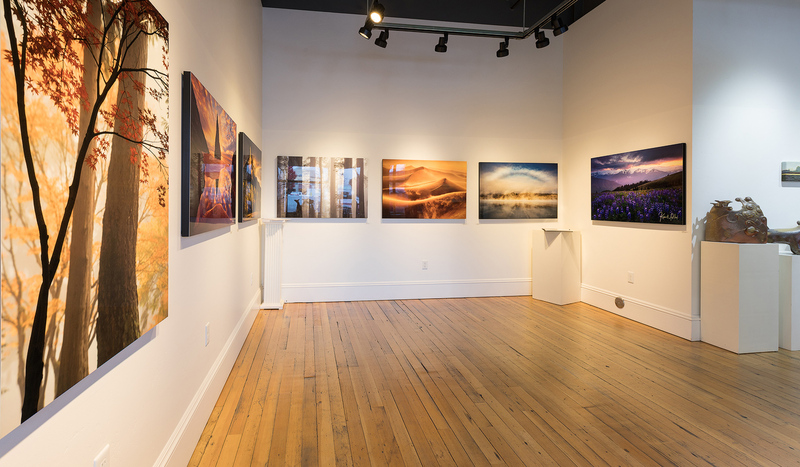 Other words that express the meaning of atmosphere are ambiance, feel, character, aura, quality and flavor. 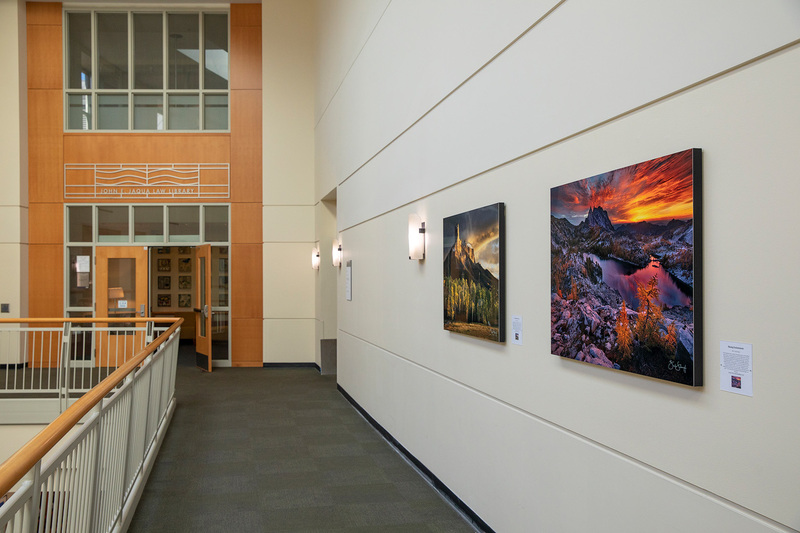 In our landscape photography, atmosphere is often the defining element and key ingredient. 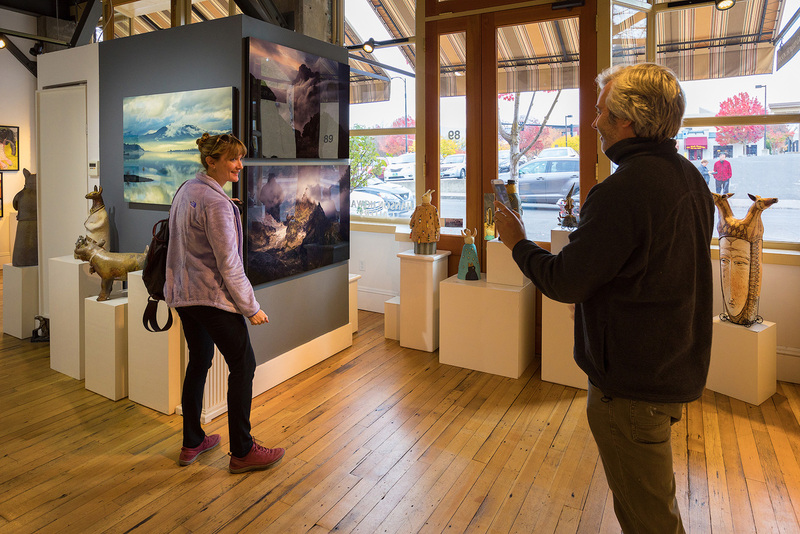 Recognizing and recording compelling atmosphere at the precise moment is often the difference between ordinary and transcendent.